12W Led Bathroom Ceiling Light (Waterproof IP44), Aluminum 6000K Cool White. Surface Mounted Led Ceiling Light Fittings for Kitchen, Living Room, Hallway. 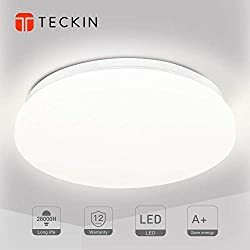 Flush Ceiling Lighting (AC 110-265V). 323944 products found in Ceiling Lights. 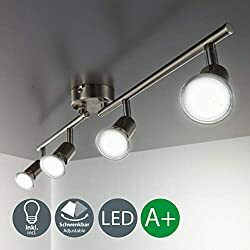 Your request for Ceiling Lights revealed a total of 6323944 results. 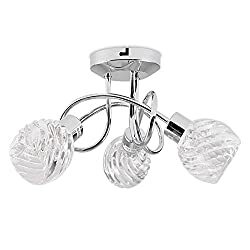 Product Features: Modern 3 Way Ceiling Spotlight in a Polished Chrome Finish, Contemporary Flush Design with Swirl Glass Dome Shades, Measurements: Height 170mm x Diameter 350mm, 3 x 25w G9 Halogen Bulbs are Required - Not Supplied, Reference Number: 19548, High Brightness Performance: With 2000 lumen, large light-emitting surface and 24W led light included, TECKIN ceiling light can light up most areas of the room. Effectively reduce lighting dead space, bringing you the best light-using experience.